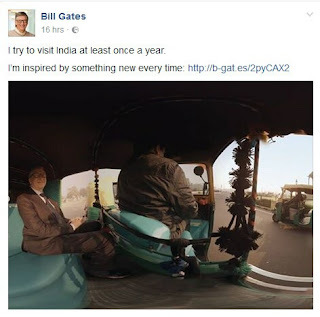 News Bill Gates, world’s richest man, pictured inside keke napep. Bill Gates, world’s richest man, pictured inside keke napep. popularly referred to as Keke Napep in Nigeria. "I try to go to India at the least once a 12 months. I’m stimulated by way of something new each time"